My wife is away at the moment and has taken our car. Being only a one car family (not out of some loony aversion to CO2 but out of economic necessity) I have gone about my business on foot. This has been a lovely experience and demonstrated to me how Ipswich has come on leaps and bounds since I came to live here ten years ago. 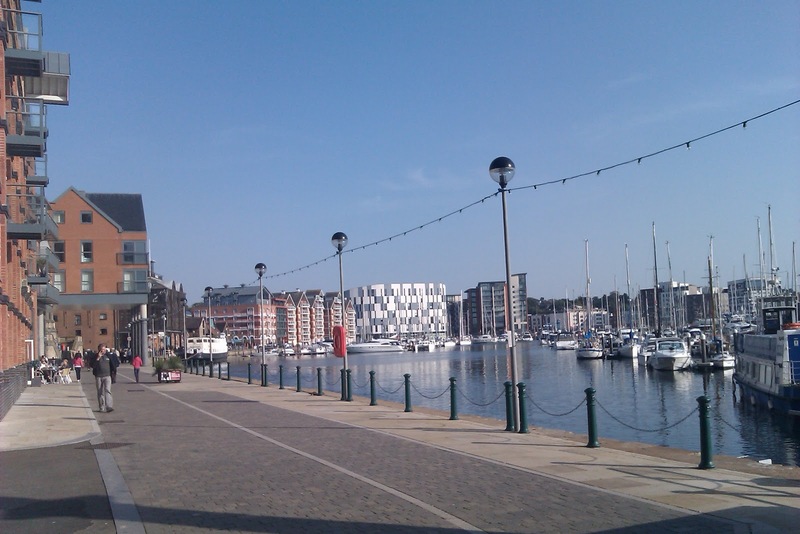 I’ve shed a few pounds but more importantly I’ve been able to visually devour Ipswich town centre and our Waterfront which when whizzing around in my car I don’t get to appreciate. There are a fair few doomsayers in Ipswich who think our town centre has gone to wrack and ruin. I’m not convinced by this. Instead, I am particularly pleased by how lovely Giles Circus looked yesterday – a piece of regeneration led by Conservatives and rabidly opposed by Labour at the time. The town also has many more decent shops than there were ten years ago with White Stuff, Fat Face and Office now open. But of course the absolute jewel in the crown is the Waterfront with the new bars, restaurants and the UCS campus. I also like the new housing developments around Duke Street and the shops which have sprung up to serve them. And even the new traffic scheme at the bottom of Back Hamlet is a vast improvement. The town has grown up and feels far more forward-looking than at the turn of the century. Now there are always issues and the shell commonly known as the ‘wine rack’ on the Waterfront still stands as a monument to the recession and the woeful management of the banks by the last Labour Government and foreign governments, especially the Irish whose government, or so I am told, actually owns the ‘wine rack’ as it is in their toxic bank. Sadly, until the Irish sell it, it won’t be finished any time soon. 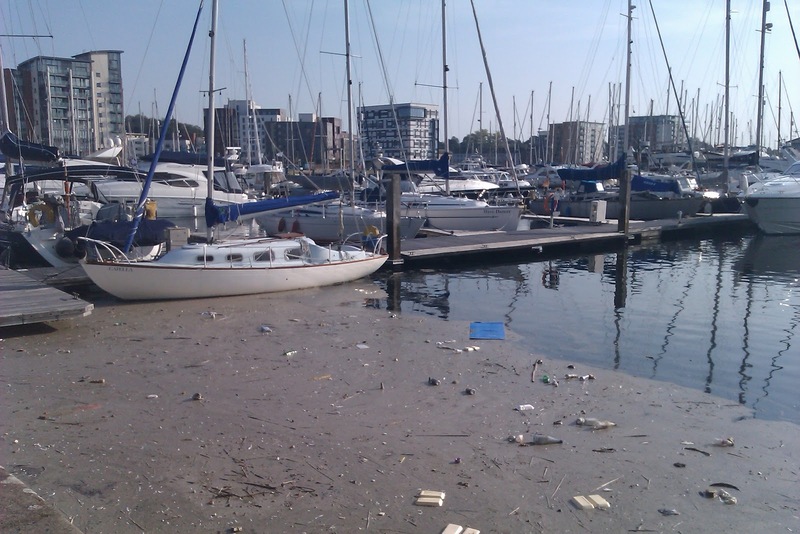 However, there is a problem down the Waterfront the newly selected Labour parliamentary candidate and leader of Ipswich Borough Council, Cllr David Ellesmere, could solve soon, and that is the horrid rubbish stagnating the marina. This is something Ipswich Borough Council should be sorting out as although they don’t own the marina I believe they do own the marina bed, which the rubbish along with the water sits on. Over to you David. Categories: Cllr David Ellesmere, Council, Ipswich, waterfront | Permalink. A full council meeting of all 48 (minus 1 who has resigned) councillors at Ipswich Borough Council took place yesterday evening. I went along but I felt somewhat uncomfortable by the mauling which took place as Labour answered questions from my fellow Conservatives. The leader of the Conservative Group, Cllr John Carnall, rightly tackled the leader of the Council, Cllr Ellesmere, on why the Executive Committee meeting was postponed on 23rd August. Some may say it was only a meeting so why all the fuss. Well, the Executive Committee is another term for the Cabinet and in a ‘Leader and Cabinet’ model which we have at the Borough Council, this Committee (which only consists of 8 councillors out of 48) is the only power base for elected members. It is here where all decisions on policy are made and this Committee must legally meet on a regular basis so for the meeting to be cancelled is an erosion of democracy and accountability. The reason for the cancellation was an administration error which meant reports were not ready in time. The leader assured the Council that he and the Chief Executive had addressed the shortcomings to prevent a repeat. Cllr Carnall then asked how much it had cost to cancel the meeting. The figure – who knows how these things are worked out – came to £35. But Cllr Ellesmere pounced on the opportunity to highlight the forthcoming by-election (not yet officially called) which has been caused by Tory councillor Sarah Stokes resigning from the council. David Ellesmere estimates it will cost £10,000 to stage the by-election. Is that £10,000 spent by the political parties, £10,000 to be spent by the Council holding the by-election (manning polling stations, counting the votes etc)? Who knows where he plucked that figure from? Needless to say Paul Geater from the Morning Evening Star swallowed the figure hook, line, and sinker and stated it as a fact in his column today (not online). Embarrassingly for my party, Cllr Ellesmere also pointed out that Conservative Cllr Kym Stroedt had said in his diary in the Morning Evening Star on Tuesday: “After a short break I head off to Grafton House to take part in a Conservative group meeting. It’s not long before realisation strikes that we don’t have the papers that we should have. Subsequently the meeting is postponed”, which caused the chamber to erupt in laughter. Cllr Kym Stroedt quickly informed the Council he had been misquoted, which no doubt he was. There is always a risk when Conservatives use a paper which has a patently left-wing agenda to convey a “diary” of thoughts to the electorate and on this occasion it has backfired. Other Council Questions were on the problem of Street Drinking and what was being done to address the issue. This was a good question from Cllr Stroedt. Cllr Neil Macdonald, the Labour portfolio holder responsible for ‘Safer Ipswich’ claimed the evil Tories were driving people to drink. This was a gross trivialisation of addiction and mental health problems which are prevalent in street drinkers. Cllr Stroedt was not talking about people having a couple of glasses of wine at home after a hard day’s work – he was talking about people who through a medical condition were drinking on the streets during the day. Unfortunately, Cllr Stroedt did not tackle Cllr Macdonald’s comments in his supplementary question but it is not always easy to react quickly in the bear pit of a council chamber. Cllr Tanya Maclure (and I declare an interest as she is my wife!) asked a good question to Labour’s Transport man, Cllr Phil Smart, on why one lane of the Star Lane gyratory had been closed during the Ipswich Maritime Festival last month. 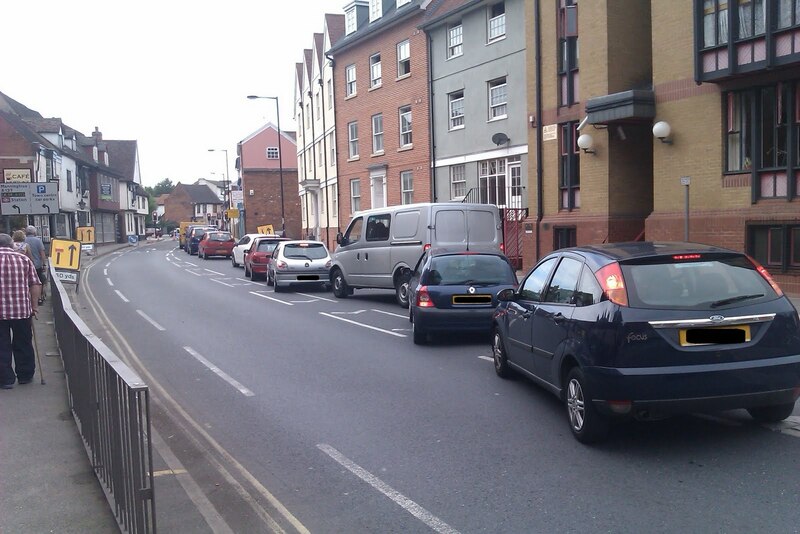 This, as you will see from a previous post caused gridlock in the town centre. Cllr Smart was asked if he had made the decision. The Labour Council’s transport chief said he had not made the decision and that he didn’t even know such a decision had been made until he also got caught up in the traffic that day. I’m sorry but this is ridiculous – who on earth is running the council? Elected members or officers? Obviously Labour are happy for unelected bureaucrats to run our town (but then most are probably Labour voters!). The last item on the agenda was the Strategic Overview and Scrutiny Committee Annual Report. As some of my readers may know, I was Chairman of this Committee during my last year as a councillor before I stepped down in May this year. I was humbled to hear kind words spoken about my chairmanship from all three parties, from the current Liberal Democrat Committee Chairman, Cllr Nigel Cheesman to Cllr Roger Fern from Labour and the Conservative Group Leader, Cllr John Carnall. I greatly appreciated their words of thanks. Categories: Cllr Kym Stroedt, Conservatives, Council, Labour, Morning Star | Permalink. Decision making at Labour run Ipswich Borough Council is in question again today, in particular in the Transport Department. Whose bright idea was it to close one lane of the Star Lane gyratory going from east to west from Friday 19th to Sunday 21st August this weekend? This caused chaos with gridlock outside the UCS building and traffic backed up to the Bishops Hill/Nacton Road junction and beyond. As I drove into town at the weekend, when it took me 35 minutes to get from the Cavendish Street/Bishop’s Hill junction to St Peter’s Street, I saw lots of Ipswich Borough Council barriers and cones but not a single council workman. Were any works meant to be going on or was this an example of mad ‘elf ‘n’ safety’ decision-making because the Ipswich Maritime Festival was taking place nearby? The Festival was very good, my wife and I enjoyed visiting the different stalls then having a drink at the Ipswich Beer Festival, but did town centre shoppers, residents and visitors have to suffer chaos on the roads as a result? Over to you Cllr Phil Smart. Categories: Council, transport | Permalink. As discussed previously, the obstructive nature of Council Officers was the most frustrating part of being a Councillor for four years. Unfortunately, incompetence was also an issue: instructions were not followed, reports were not written in time, the Monitoring Officer did not understand Standing Orders (i.e. the rules of debate and motions) at Full Council etc. The incompetence also continued to be obvious even when I stepped down as a Councillor. The Council honours former Councillors with a Mayoral presentation of a Certificate when the Councillor stands down, which states the number of years the person served the people who elected them. This is a considerate thing for the Council to do and is appreciated by former Councillors. Well at least it would be if Officers actually invited the Councillors to the presentation. I only found out I was getting a certificate because my wife, who continued to be a Councillor, told me the presentation was taking place. Several of my fellow former Councillors didn’t receive an invitation and therefore did not turn up to be rightly honoured at the Annual Meeting of the Council. Now, I had let this drop but when my wife received her Council correspondence this morning, I felt compelled to write this post. For my wife to be shown the discourtesy of being sent an invite to not herself but her husband who is no longer a Councillor is at best incompetent and at worse disrespectful to an elected representative of the People at the Council. Being the public sector, there will be zero redress with no officer challenged for making these mistakes mentioned above, so I don’t expect the situation to improve. I guess we just have to accept it and keep paying for the privilege. Now I realise the above is trivial compared to the incompetence seen elsewhere, as discussed before, but it is symptomatic of a culture of incompetence and “no blame” in the public sector, which left unchecked does lead to people losing their lives. Categories: Council, incompetence | Permalink. A motion was tabled by the Conservative Group at Monday’s Full Council meeting recommending the Executive grant serving members of the Armed Services and their immediate families who are resident in the Borough of Ipswich free entry to the Council’s sports and leisure facilities in recognition of their sacrifice and commitment in the service of this country, with a recommended implementation date of 1st August 2011. Cllr Carnall spoke movingly about the sacrifice our soldiers, airmen and sailors have made to defend our country in Afghanistan and Iraq and encouraged the newly elected Labour Administration to honour them and their families with free access to the Borough’s leisure and sports facilities. This is especially pertinent now that the Military Covenant is to be enshrined in Law by Parliament. The Motion was accepted by the Labour and Liberal Democrat Parties with one amendment. 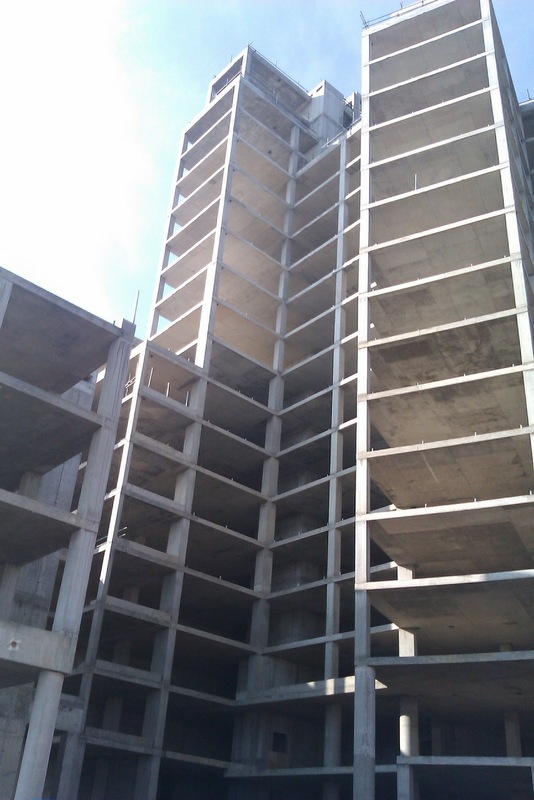 The Labour Group felt 1st August 2011 was too soon to implement the measure effectively. After moving tributes to our Armed Forces by Cllr Ross, who spent 7 months in Afghanistan in 2009 with 2 Rifles, the Conservative Group accepted the amendment. The Executive are now obliged by Full Council to work on implementing this measure. As a sidebar, the Mayor, Cllr Le Grys, did a very good job at chairing the motion debate. During the time I sat on the Council, many a Mayor would get themselves in a bind when trying to steer a motion through the plethora of Standing Orders (i.e. the rules) by which motions must be debated, amended and voted on. It seems at long last the Mayor (and Officers) now finally have a grip on the procedural rules. It makes for a far less frustrating and embarrassing meeting. Categories: Armed Services, Conservatives, Council, Labour | Permalink. For my sins, I attended Ipswich Borough Council’s Full Council meeting on Monday. With it being the first Full Council since the pomp and circumstance of the Mayor Making ceremony in May (more of that night here), it was time to hold the new Labour Administration to account with 6 questions (one was strangely dropped from the order paper) from the Conservative and now very much mutually exclusive Liberal Democrats Groups. Unfortunately, Labour conveniently forgot they won power in May’s Local Elections. To kick off Council Questions, Cllr Jones was asked by the Conservative Group Leader, Cllr Carnall, what incentives did the new Labour Administration intend to deploy to bring the Town’s empty shops and “run down areas” back into use. A curious case of verbal diarrhoea broke out with Cllr Jones spending several minutes telling the Council how the Economic Development department was not up to scratch and that it was all the Conservatives’ fault. For the members of the public watching from the Gallery we did not learn what the new Economic Development portfolio holder was going to do about the lack of enterprise in Ipswich, despite Cllr Carnall using his supplementary to ask the question again. We then moved on to another question for Cllr Jones from the new councillor for Bixley Ward, Cllr Kym Stroet, who asked if the Council was going to work with the Co-op to save the Macaulay Road store from closing, considering how close the Labour Party is to the Co-operative Society. We were swiftly told by Cllr Jones the Labour Party had no present close links with the Co-op and there was nothing they could do to help residents in the Macaulay Road area. I think they protest too much about the lack of links to the Co-op considering the large number of Labour councillors who declared an interest at the beginning of the meeting as members of the East of England Co-operative Society! Housing was up next, when Liberal Democrat Cllr Bates asked the new Labour portfolio holder for Housing, Cllr Mowles, would they, now Labour were back in charge, be re-opening the Area Housing Offices they so ferociously opposed and campaigned to re-open only last year. Cllr Mowles said something about the new housing structure preventing him from meeting this manifesto pledge and that “we are where we are”. So that would be a ‘no’ then. Then we were on to Cllr Terry vs. Cllr Rudkin – always a contest worth watching. The former portfolio holder for Culture and Leisure asked the new portfolio holder why previous Labour Administrations allowed the High Street Exhibition Gallery at Ipswich Museum to fall into virtual dereliction over the previous 25 years when they controlled the Council. Unsurprisingly, the question was not answered but instead Cllr Rudkin gave us a lecture on how it was all Thatcher’s fault despite Labour being in charge of the Council for all the time the Conservatives were in Government between 1979 and 1997 and then continued to be in charge of the Borough between 1997 and 2004 when Tony Blair was PM. The mind boggles! Labour have never really understood Government. I can understand this at a national level considering for much of the last century they weren’t actually in Government (thankfully!) but at a local level Labour see Ipswich as their personal fiefdom considering the number of years they have run the Town Hall. They never really understood why they were not in power during the last seven years and acted as if they were still in charge. So why behave like an Opposition when they really are in power? Perhaps it’s to try and fool the electorate that it is never their fault but those nasty Tories. Unfortunately for Labour, the electorate are a lot cleverer than the Socialists give them credit for and will be watching to see how Labour perform now they are back in power at Grafton House. On Monday night’s performance at Council Questions, Labour still have a lot to prove. Categories: Conservatives, Council, Labour | Permalink. I attended the Annual Meeting of Ipswich Borough Council yesterday evening as one of the invited guests (my other half is still a Councillor!) and was able to witness first hand the transfer of power to Old Labour after 6 and a half years. Some people at the time the Conservatives went into coalition with the Liberal Democrats back in 2004 had reservations about jumping into bed with the politicians that always look both ways, but compared to Labour control in Ipswich the town enjoyed a very good number of years with below inflation council tax rises and a council tax cut this year and another council tax cut factored in for next year (if Labour stick with the financial plans). Let’s be frank though, Labour won power this year at the local elections because they lied. They ran the cuts narrative on libraries and school crossing patrols when in fact not one had been cut. Labour also knows Ipswich Borough Council is responsible for not one library or crossing patrol as these are Suffolk County Council responsibilities but they still proceeded to cleverly confuse County and Borough with the electorate. In short, they scared the electorate into voting Labour. The Conservatives can be accused of many things but they would never stoop that low. With a majority of eight on the Borough Council (huge in local government terms), you would have thought Labour would be magnanimous in victory during the transfer of power last night. Not one bit. Council Leader David Ellesmere used the two motions to appoint his Executive and Committee placings to accuse the Conservatives of “letting the voters down” by not wishing to sit in the Cabinet (also known as the Executive) with Labour. Does Ed Milliband sit in the cabinet with David Cameron? No of course not and why would he when Labour lost! This was pure vindictiveness from Labour. At the same meeting, Cllr John Carnall started his tenure as Conservative leader in terrific form. When he challenged a constitutional point regarding the election of the Deputy Leader, in which he correctly pointed out that the new rules passed by the Council in December mean the Leader of the Council appoints their Deputy rather than the Council electing the Deputy, he was told to “sit down” by newly elected Labour Mayor, Cllr John Le Grys. Moments later officers caught up and realised Cllr Carnall was indeed right and he was allowed to stand up again to make his point after asking the Mayor to apologise, which he refused to do. Last night was a taste of things to come. I dislike Socialists more than I have ever done after their performance at the Annual Council meeting and look forward to taking the fight to them. On a side note, our past friends, the Liberal Democrats, took up Labour’s offer for one of their small number (they only have four councillors now) to become chairman of the Strategic Overview & Scrutiny Committee, which I chaired last year, after the Conservatives, quite rightly, refused to dance to Labour’s tune. But in typical Liberal Democrat fashion, when it came to the vote on Committee placings, they abstained! They’ll still end up Chairman of this major Committee as the Labour majority was overwhelming during the vote. The Liberal Democrats look both ways again! There is one silver lining to losing power at the Council: we no longer have to work with the yellow peril! Categories: Borough, Cllr John Carnall, Conservatives, Council, David Ellesmere, Ipswich, Labour, Liberal Democrats, Old Labour | Permalink.